The queen. Copy of Holbein's Great Dance of Death made by Juan de Icíar. 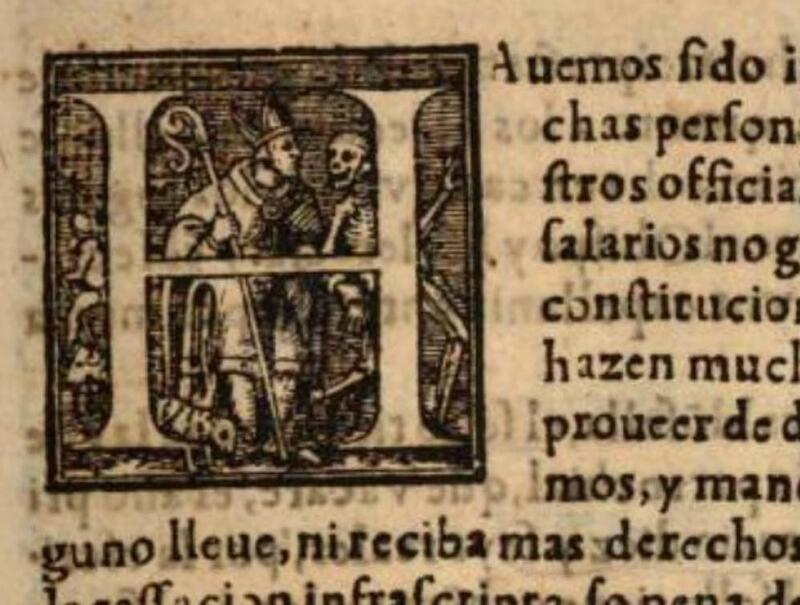 Used in the book Constituciones Synodales del obispado de Pamplona, 1591.